Content by Tony Macklin. Originally published on December 26, 2015 @ tonymacklin.net. Sometimes a film is not seen by viewers as the director intended it to be seen. It is twisted by the viewers' preconceptions. It may be different from what they expected or wanted it to be. 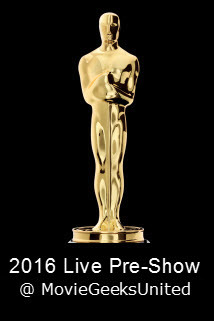 Viewers may provide static or their own wavelengths to dismiss the filmmaker's vision. The Danish Girl is a vulnerable film. A lot of reviewers seem to want it to be vastly different from what it is. That may be valid, but first one should figure out whether or not it delivers on its own terms. Viewers often jump to their own expectations and don't even bother to decide whether the film delivered on its own. At the beginning, The Danish Girl has the words, "A Film By Tom Hooper." It's not "A Film By An Audience Member." One can say, I prefer chocolate ice cream, and he's made vanilla. But it's a leap to say he should have made only chocolate. Anything else is not sufficient. With The Danish Girl, director Hooper delivered on his terms. Because The Danish Girl is about a provocative subject - a transgender woman - some viewers want it to be darker and more grueling. Since it has operations, it should show them. But that reality is not what Hooper is after. His The Danish Girl is a love story. And it is about human decency. 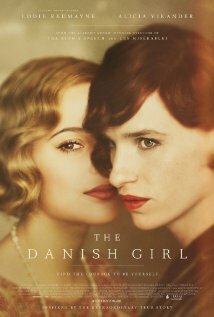 The Danish Girl avoids mean-spiritedness (a main staple of our culture in 2015). In the film, there are a few doctors who are antagonistic, and there is one scene in which Lili faces hostility. But Hooper is after something else. Perhaps Hooper does sanitize events a bit, but the film's romantic spirit transcends actuality. The Danish Girl begins with shots by cinematographer Danny Cohen of water, blowing grass, and distant mountains. It's accompanied by romantic music by composer Alexandre Desplat. It establishes a tone of prevailing beauty. It is revealed that it is 1926 in Copenhagen. Einar Wegener (Eddie Redmayne) is a renowned landscape painter, and his wife Gerda (Alicia Vikander) is struggling for recognition as an artist. But they are happily married. They are about to evolve in profound ways. Einar begins to recognize female qualities in his nature, and he struggles to cope with his true identity as Lili. Lili is beginning to overwhelm Einer. Gerda, although shaken, tries to support him and help him. Ironically, when she uses Lili as her model, her painting becomes better and truer. Avoiding rejection, love keeps them together as they evolve. They wouldn't be able to evolve without each other. 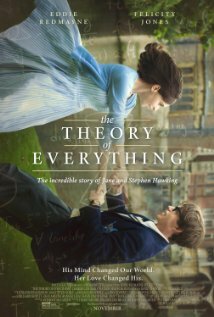 Earlier this year, Eddie Redmayne was awarded the Oscar as Best Actor for his extraordinary performance as Stephen Hawking in The Theory of Everything. But now he's almost taken for granted. At the beginning of The Danish Girl, Redmayne doesn't seem as though he's going to be distinctive. Early on, he smiles too much, as though people have told him he has a great smile. 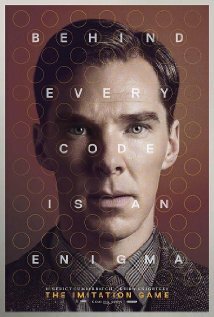 But as Lili starts to emerge, Redmayne's brilliant talent emerges. He captures the fragility of a lost soul. Lili/Einar is a creature of tentative will and indomitable spirit. The majority of critical applause has gone to Alicia Vikander as Gerda, the wife who has to cope with her husband's incredible transformation. Vikander meets the levels of Redmayne with levels of her own. She is credible and genuine. The other actors embody characters who try to act with decency. The Danish Girl has a screenplay by Lucinda Coxon, adapted from the novel (2000) based on actual people, by David Ebershoff. Hooper takes the writing and gives it life. He creates a haunting portrait of desperate people. In Hooper's vision, humanity prevails.